Usman said, “Troops deployed in the North- East of Nigeria under Operation Lafiya Dole have come under series of attacks by large numbers of Boko Haram terrorists. 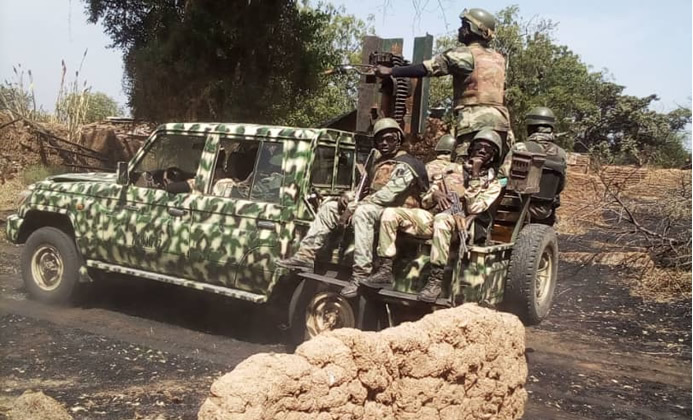 Specifically, the Nigerian Army troops deployed at Kukawa, Ngoshe, Kareto and Gajiram came under attack at different times within a two - week period from November 2 to 17. “As you are all aware, Nigeria is contributing troops to the Multi -National Joint Task Force which has its headquarters in N’djamena, in the Republic of Chad. One of the Nigerian battalions, 157 Task Force Battalion, deployed under the auspices of the MNJTF was attacked at their Base on the outskirts of a town called Metele on November 18.